On February 4, MOSAIC became Hampton University’s first official organization tailored to lesbian, gay, bisexual, transgender and queer (LGBTQ) students. Director of Student Activities Anzell Harrell sent an email to members of the organization announcing its official status. The letters in MOSAIC stand for “Motivating Open-minded Social Acceptance and Inspiring Change. The organization’s goal is to provide a safe space for LGBTQ students and to inform the Hampton University community of the various sexual orientations and gender identities. MOSAIC was founded by Elijah Levon, a 2015 Hampton graduate, during his time at the university. When the organization began, its members held unofficial meetings to promote awareness of the LGBTQ community and to serve as a support group. After Levon’s graduation, the members moved to become official. “In a day where LGBT rights have become the law of the land, we felt it was appropriate to have an organization to recognize us queer students here at HU,” said Matthew Gates, a junior, journalism major at Hampton and the secretary of MOSAIC. Although this is a milestone for MOSAIC and the University, as a whole, it has not been an easy journey. In September, the new clubs and organizations portal opened for those interested in becoming official on campus. Students must submit documents pertaining to the officers, the current students that are in the organization, advisor information, the bylaws and constitution and letters of support. Assistant Director in the Office of Student Activities Bria Taylor explained the process in which groups become officially recognized by the University; once the documents are completed fully and submitted on time, officials in the Office of Student Activities schedule a time for the organization to meet with the Student Affairs Council. This council must vote for the group to move to the next level and be reviewed by the Student Leadership Development Team. This team is headed by Vice President for Administrative Services Dr. Barbara Inman. After the Student Leadership Development Team reviews selected organizations, it votes for the groups to be reviewed by the Administration Council, headed by the Hampton University President Dr. William R. Harvey. This final review and vote determines if an organization becomes official on Hampton University’s campus. “We are excited that our accepting staff and administration have finally provided us with a platform to let our colors shine,” said MOSAIC officers in a statement. “I do think the LGBT community can definitely have a positive influence from MOSAIC because if they have any issues with bullying or don’t feel comfortable in their own skin, they can use this organization as the outlet to discuss things,” said Taylor. MOSAIC is students’ first successful attempt at getting an LBGTQ group to be recognized by Hampton University. “It’s about time, especially knowing how large the LGBT community is at Hampton,” said Veronica Scott- Miller, a 2015 graduate of HU and a LGBTQ member. Ashlie Arvin, a second-year in the five-year MBA program from Richmond, Virginia said she is excited for the future of the club. 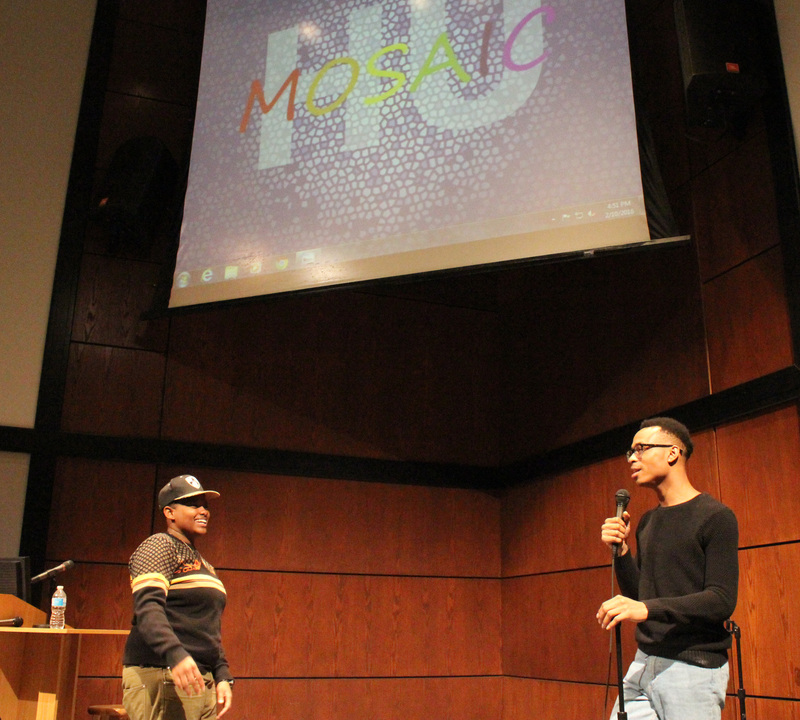 “For MOSAIC to be the first LGBT organization at Hampton, that says a lot. It says that Hampton is open to change,” said Arvin.